Did you know that kids sometimes have 14 colds a year (each possibly lasting up to 10 days)? Yep, that is 140 days of cold symptoms and at the rate we are going- we might beat that this fall. We keep passing around a cold among the three of us. Unfortunately, little Miss H takes it much worse than us. She even got an ear infection this weekend that landed us in the ER. However, we were in and out of the pediatric ER in an hour! Both my parents always wonder why Miss H does not just curl up on the floor/stroller/wherever when she is tired and fall asleep because ‘that is what I did as a child,’ but up until today Miss H has never done that. She likes to sleep in her bed and that is about it. 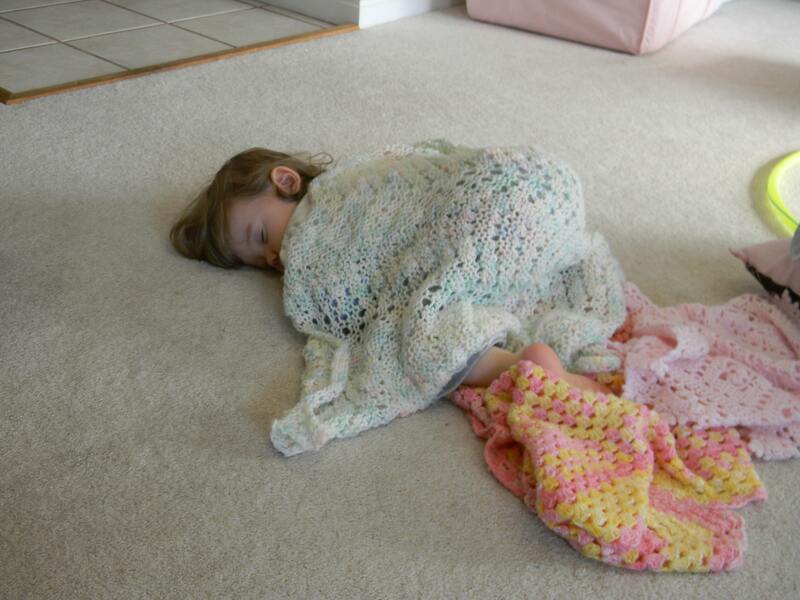 Today- she did curl up on the floor and stayed there for over three hours. It was pretty cute but I am not holding my breath that this is a new trend. And, if the only reason she does this is because she feels so, so bad- it never has to happen again. After the really long nap, she did seem to be back to her normal self and we are hoping we are on the mend. Did you know that varicose veins itch? I started having weird itching and pain in my legs when I was pregnant and discovered that I had issues with veins in both my legs. I tried the compression socks, I tried the elevation and my doctor basically said that I had to have the surgery. On Thursday, I had one leg done and it was not so bad. I have six puncture holes from mid-calf to my hip (I decided not to post a picture of my very large bruise) and I will have the other leg done in a few weeks. Weirdest part about the surgery was I took Ambien in the middle of the day and the fact I could watch the whole thing on the large screen. The Ambiens did not kick in until I got home. Now, I get to wear these really attractive (and $75 per pair) socks for the next few weeks. Officially, the ugliest and most expensive pair of socks I have ever owned. I am out of did you know questions for the day. Miss H might be a drummer one day. 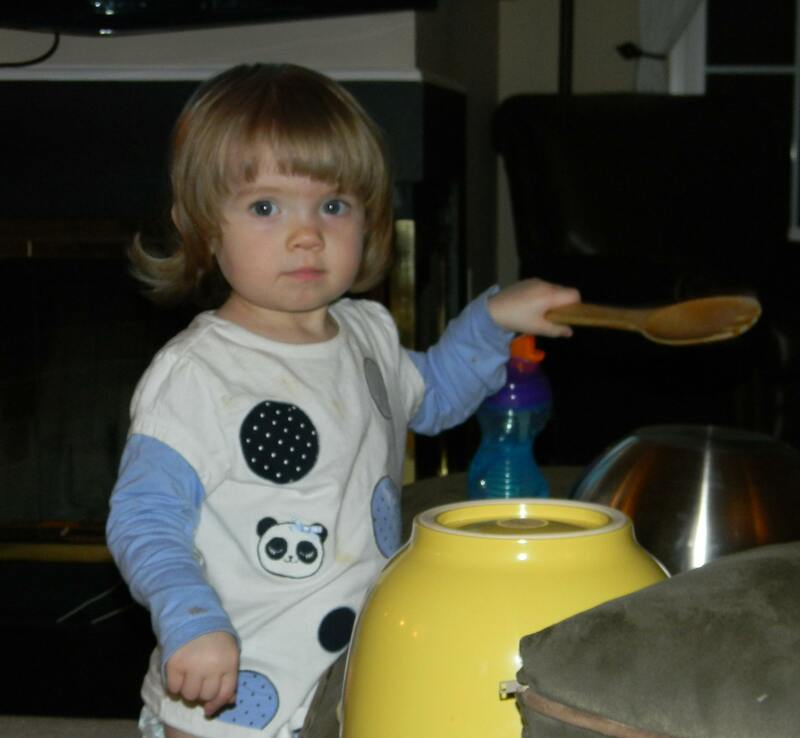 Favorite activity of the day- banging on two mixing bowls with a wooden spoon. Kerry is now complaining of a headache. 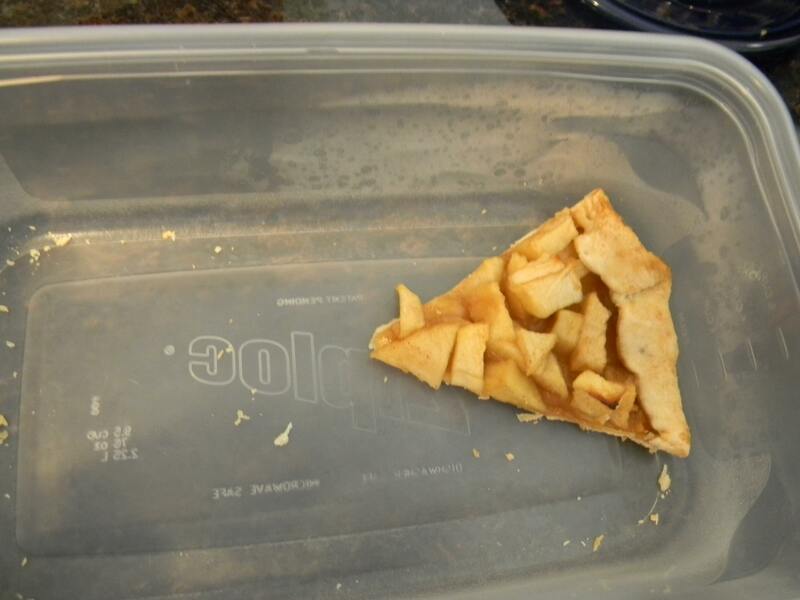 My mom makes this apple dessert that I refer to as an apple pizza- basically pie crust, sliced apples mixed with sugar and cinnamon, then baked. I decided to recreate it this weekend and it went over very well! It was yummy and this is all that is left. If you need more specific instructions- let me know! Hope everyone had a great weekend and that you are all healthy, and ear infection free.